For the 2018 Fall Semester, Diversity in STEAM Magazine will be offering a $500 scholarship that is available to STEM undergraduate students. 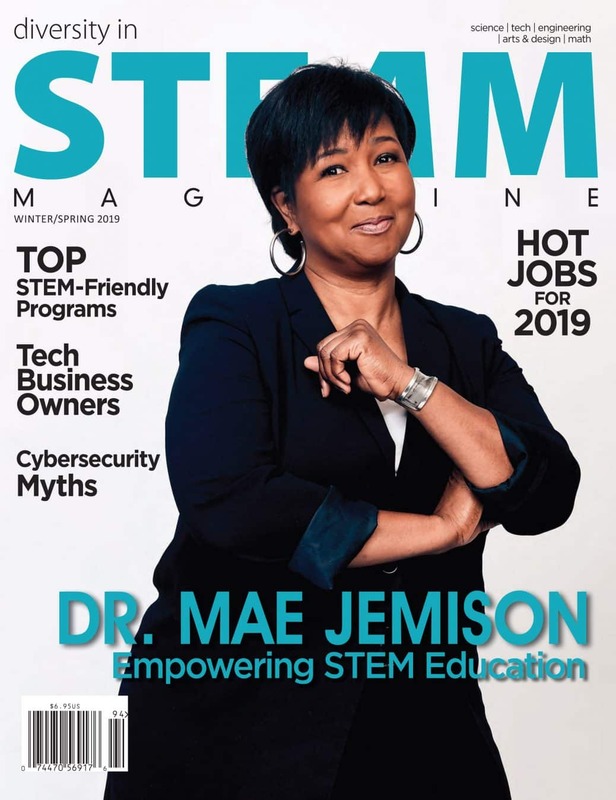 As one of the strongest growing STEAM publications in our nation, the Diversity in STEAM Magazine informs, educates, and provides equal opportunity in Corporate America. We provide the latest and most important diversity news spanning every industry, business and profession. This includes up-to-date statistics on workforce diversity, B2B trends, noteworthy conferences, business opportunities and role model spotlights. The Diversity in STEAM Magazine is the ultimate STEAM Career & Business connection! The scholarship will be awarded to the applicant who best demonstrates a genuine desire and goal of using the scholarship to advance in their field, and an overall passion for knowledge. To be eligible for our scholarship contest, you must be: a legal US resident, and either a current (1) student at an accredited U.S. College or University, or (2) an undergraduate student who has applied or will apply to a U.S. College or University. Students with full academic scholarships are not eligible to enter this contest. Unofficial transcript (Applicant must submit by mail an un-opened copy of official transcripts if elected as a finalist). The $500 award will be paid to the winner by September 15, 2018. Students must provide proof of enrollment prior to disbursement of the award. Submissions: All content and creative work become the property of Diversity in STEAM Magazine upon submission and may be re-posted or displayed online or through any media channels, in whole or part, without notification. When you send email communications to Diversity in STEAM Magazine its agents and/or representatives may retain those communications. By submitting an application, the applicant grants Diversity in STEAM Magazine , its agents and/or representatives permission to post the applicant’s name, school or university, applicant’s photo, and the winning entry in the company’s website:diversityinsteam.com and in other marketing platforms, including but not limited to blog, social media accounts, and related sites. The winning applicant also agrees to assist Diversity in STEAM Magazine and its agents with any tasks that the company deems reasonable or necessary to help with the above and other promotional activities.